The Massage Clinic gives students the opportunity to integrate the skills and knowledge gained in the classroom with the hands-on application by performing massage therapy sessions with members of the public, thereby achieving an increase in confidence and an enhanced ability to manage the entire massage therapist/client experience. Although the students are working independently, a qualified instructor is present and available at all times to address any questions or concerns. 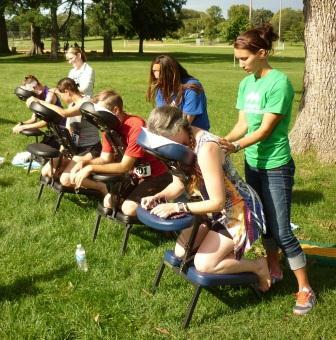 We also get involved with our community by offering chair massages at a variety of different events. Not only do students need to fulfill their required hours to complete the program, but this is also a great opportunity to experience massage outside of school. ​​After our students have graduated, they have the opportunity to work professionally in the Clinic to gain further experience with therapeutic massage along with other styles of bodywork, such as Hot Stone Massage, Body Scrubs, and Raindrop Therapy. This is an opportunity which allows them to perfect their modalities, work on their marketing skills and to use as a means to start their own private practice. Clinic Massage Prices . . . 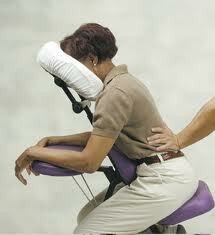 Call to schedule your massage or event today.